The Istrian peninsula of Croatia is too magical to miss! The Clumsy Traveler Goes to Venice! It was November 11th. In Canada, this means Remembrance Day services and poppy pins. In Croatia, they baptise their wine. We had heard that St. Martin's Day (Sveti Martinje locally) was a 'big deal'. 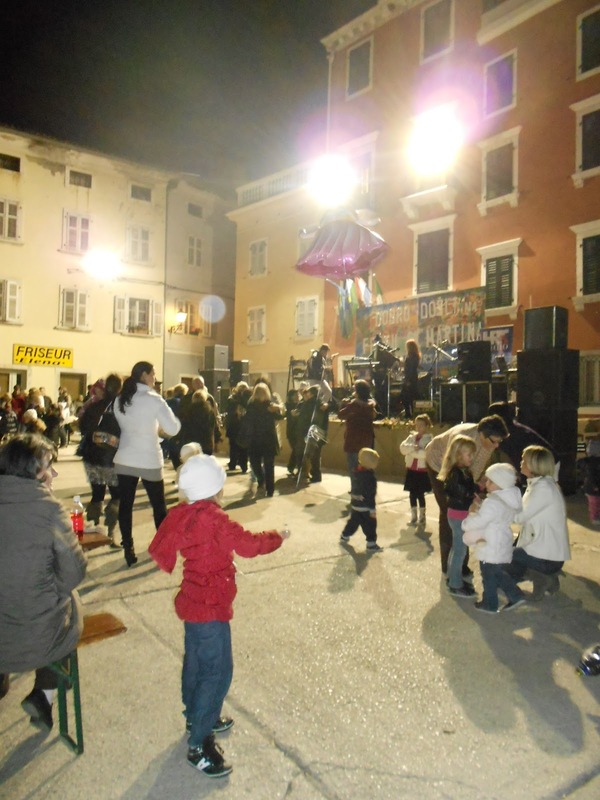 Being up for anything new, we thought we would go out for supper and then catch some of the festivities in Vrsar, since Sveti Martinje is Vrsar's patron saint. We made reservations at one of our favourite restaurants, Trost, and laid our plans accordingly, knowing it would be a busy night. The restaurant was empty. Strange, since it was almost always full on other occasions. Worried that we were missing something, we hurriedly inquired after the likelihood of our taking in some Sveti Martinje activities. We were hastily reassured. We wouldn't miss a thing. 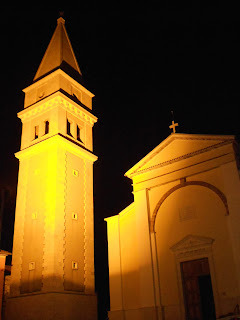 An excellent meal in our satisfied stomachs, we drove up the steep hill to what we thought was close to the town square. While we ate, we had been hearing the occasional loud eruption from above us on the hill. Now, all was dark and silent. Had we missed everything after all? Our steps quickened. When our ears caught strains of a faint voice, we followed a maze-like path through dark and narrow corners. Finally, we were in the square. We hadn't missed it. The party was just getting started. Within moments, the band struck up, playing local traditional music. Couples danced and swayed in time in an open area before the stage. Rows of tables were filled with guests munching on an astonishing array of foods. Amazing smells wafted toward us. Along one side of the quaintly laid out square was a row of food vendors. This pot was filled to the brim with fresh local mussels simmering in butter and wine. I had never seen a pot so large. I had never seen so many mussels! Older men in unusually styled hats lined up to taste whatever struck their fancy. More were bent over their culinary preparations. Women served soups and stews and sweets. A huge grill sizzled with some of the hugest squid I had ever seen. The wine flowed freely. The children darted among the tables, chattering and laughing, cheeks flushed pink with the evening's chill. Everywhere, people laughed and ate and drank and danced and cheered and chatted. It was a town-wide party! How we regretted our dinner reservations (although it had been delicious!) Now we understood why the restaurant had been so deserted! Too full to eat, we looked longingly at the vats of amazing traditional foods. Rejoining the central area of the square, I spotted two little girls spinning, spinning, spinning, laughing in breathless delight. It was enchanting. Fully under their spell, I joined them from afar, feeling their joy, entering into it like a drowning woman breathing pure oxygen after a near-death experience. Twirling, twirling, their feet kept perfect time to the music. I began to wonder when they would vomit from dizziness. They never did. They just spun and twirled until their parents took them by the hand, presumably to put them to bed. My heart followed them, just for a moment. 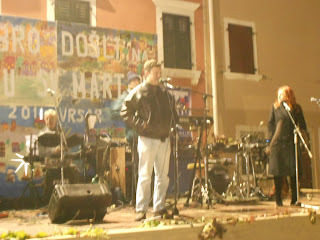 Then I was roused by the crowd's cheers, responding to the Croatian gibberish shouted by the singers. We tried to enter in to the moment, blending in with the locals. We weren't exactly successful. I'm afraid we stuck out like a sore thumb. But it was fun to try, nevertheless! 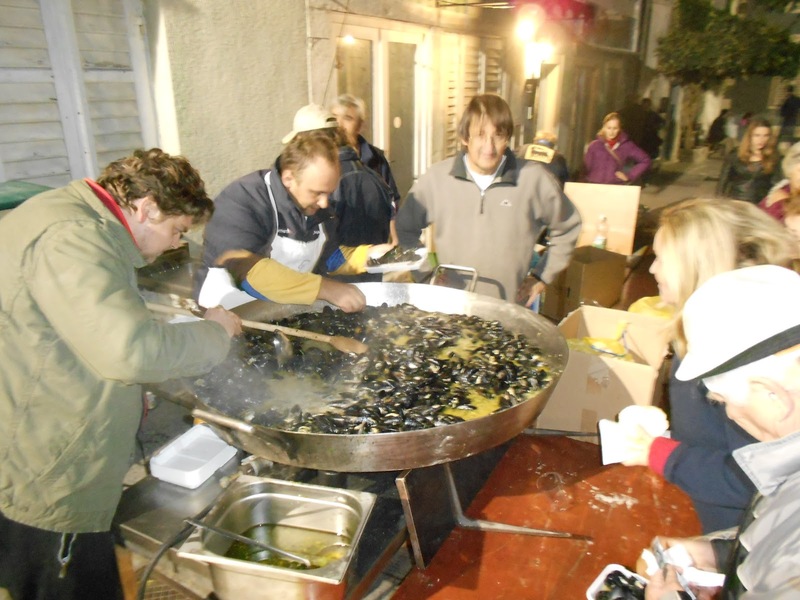 On Saint Martin's Day, communities celebrate by 'baptising' the new wine crop. Usually a man stands in for the role of bishop, and that fall's wine is declared fit for consumption. As one local woman put it, "the wine becomes 'normally', not new anymore." Learning the local traditions of the people is one more way to add richness of flavour and experience to a travel day. 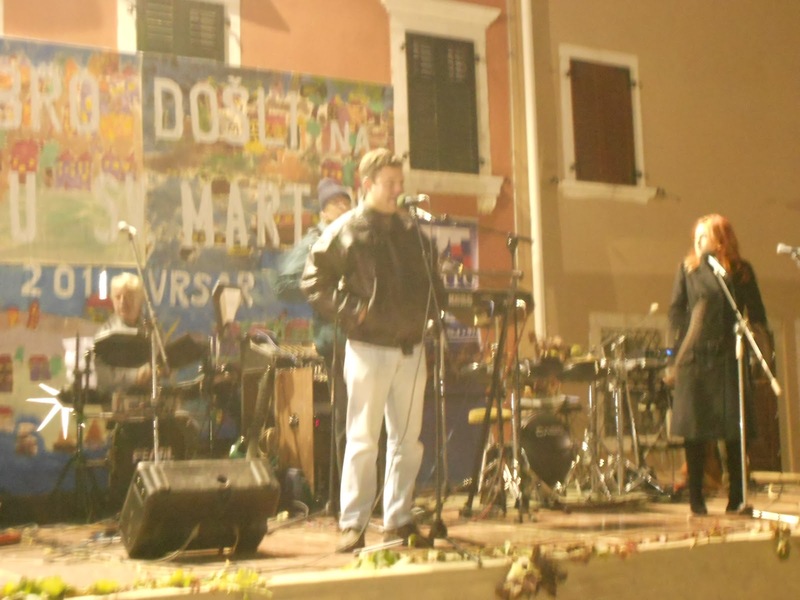 Our experiences in Vrsar that day broadened our understanding of a unique and resilient people we were quickly becoming enamoured with.